At The Jacobs/Vorwald Group, we are an experienced team of financial professionals who combine our talents to help a select group of affluent families address the myriad challenges of managing significant wealth. Following a disciplined process, we craft highly customized strategies based on their unique needs, challenges and aspirations. We are deeply committed to helping our clients realize their goals, and are dedicated to delivering an outstanding service experience. Should you choose to work with us, we will strive to address your needs and to exceed your expectations. Combining our own experience with the vast global resources of Morgan Stanley, we will provide access to the skills and capabilities needed to help you protect and grow your assets, sustain your lifestyle and support the people, causes and institutions that enhance your life. We serve a select group of accomplished entrepreneurs, executives and their families. 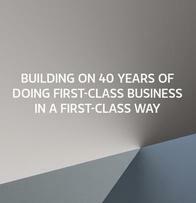 Many have built and sold successful enterprises, some on multiple occasions. The resulting wealth requires stewardship across multiple generations, and may include sophisticated estate planning entities (e.g., Trusts, Private Foundations, Family Partnerships, etc.). Our goals are wealth preservation, a focus on after-tax returns, and outstanding service. We believe in professionalism, objectivity, data-driven results and high levels of service. We follow a disciplined approach that begins with understanding your unique situation, and follows a process from tax, trust and estate strategy through asset allocation, proprietary institutional fixed income solutions, manager research and selection, and implementation of a customized investment strategy. Over the long term, high levels of service and coordination with your other advisors result in a superior client experience. 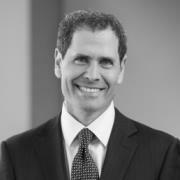 With over 24 years of experience in wealth management, Dana Jacobs has developed broad investment knowledge with a focus in corporate executive and entrepreneurial services, which includes: balance sheet and liability management, tax, trust and estate solutions, implementation of customized investment strategies and family governance and dynamics. Prior to joining Morgan Stanley, Dana served as a Managing Director at Barclays and a Managing Director in charge of the western United States Region of HSBC Private Bank. Earlier in his career, he spent 10 years as a Director in the Private Client Group at Credit Suisse First Boston and its predecessor firm, Donaldson, Lufkin and Jenrette. Dana holds a B.A. from the University of California Santa Barbara, an MBA from the Anderson School of Management at UCLA, and is a CFA charterholder. He resides in the Pacific Palisades with his wife and two daughters. A 19-year wealth management veteran, Alan Vorwald is knowledgeable about all aspects of the investment process, including asset allocation, hedging and collaring, equity and fixed-income management, structured products, and alternative investments. Prior to joining Morgan Stanley, Alan served as a Director at Barclays, and as a Senior Vice President with HSBC Private Bank in Southern California. At HSBC, he managed relationships throughout the Western United States and was twice selected by Barron’s in the top 1,000 Advisors in the United States (2010-2011). Earlier in his career, Alan spent 5 years in the Private Client Group at Credit Suisse First Boston and its predecessor firm, Donaldson, Lufkin and Jenrette. This year, 2018 Alan was recognized on Forbes’ first ever list of America’s Top Wealth Advisors: State-By-State. 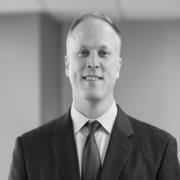 Alan holds a BA from the University of Iowa and an MBA from the Kellogg School of Management at Northwestern University. He spent eight years living in cities across Europe, speaks German fluently and played in European basketball leagues. He moved to California in 1999, and now lives with his wife and five children in the Pacific Palisades. He is a member of the Board of Directors of Chrysalis, a nonprofit organization dedicated to creating a pathway to self-sufficiency for the homeless. Drawing on over 27 years of experience in wealth management, Anu Parks supports the team’s clients and Private Wealth Advisors, contributing to an outstanding client service experience. 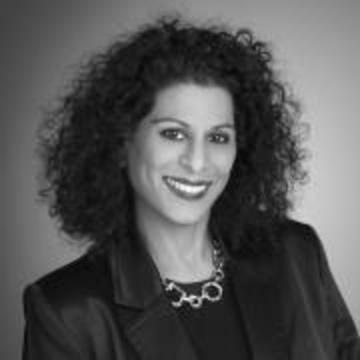 Prior to joining Morgan Stanley, she worked at Barclays as a Client Service analyst, and was a Financial Advisor and Senior Associate with Merrill Lynch in Beverly Hills. Anu holds a BBA from the University of California Riverside and an MBA from the University of Southern California. She resides in Redondo Beach with her husband and daughter. 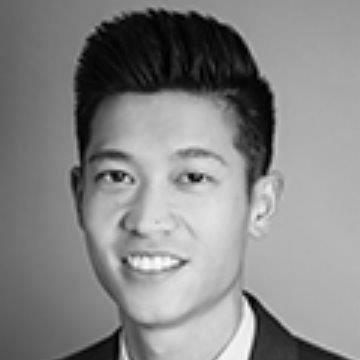 Henry Wu joined Morgan Stanley Private Wealth Management in 2016 after spending the previous three years at JP Morgan Securities. As a Wealth Management Associate, Henry’s responsibilities include, but are not limited to, bond trading, syndicate trading, and equity portfolio management. Aside from Morgan Stanley, Henry has worked for UBS Financial Services as a Branch Service Associate, Wells Fargo Advisors as a Client Services Associate, and JP Morgan as a Wealth Management Associate. Henry Graduated from University of California, Irvine with a BA in Economics in 2007. He lives in Redondo Beach with his wife and two kids.